A Swiss company has developed a new addition to its peer-to-peer business model — boat swapping. BoatAffair.com has adopted the Airbnb-style model that U.S.-based firms such as Boatsetter and Boatbound have pioneered by connecting boat owners with interested parties who want to rent their boats. But BoatAffair.com has added an extra component by allowing its members to trade boats without exchanging cash. The company instead uses a block-chain system with Bitcoin-style coins as the common currency. Walker said that when a boat owner lists on BoatAffair.com, he or she receives 500 Boataffair coins. These coins can be used by an owner who wants to do an “indirect” swap for a larger boat or as payment to another owner who does not want to do a swap but wants to charter the boat. In cases where there is a “direct” swap, no coins change hands. The owners trade boats for an agreed-upon time period. While only about a half-dozen boats are listed, they are spread out around the world, from Croatia to Tasmania. Walker has high hopes for the swap model. 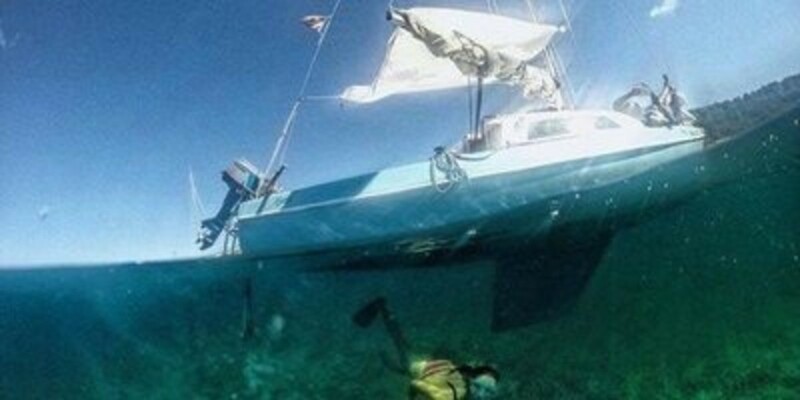 “Right now, we’re seeing a sailboat owner in the Netherlands planning to swap with another owner in Croatia,” he said. “There are others in the works. We expect this part of our business to grow over the next few years.” Unlike the charter part of the business, owners speak directly to each other about potential swaps via the company’s Messenger tool.